Three generations of women in a small Southern town find hope in the lure of a 1975 lottery win, but ultimately their redemption takes an unexpected form. 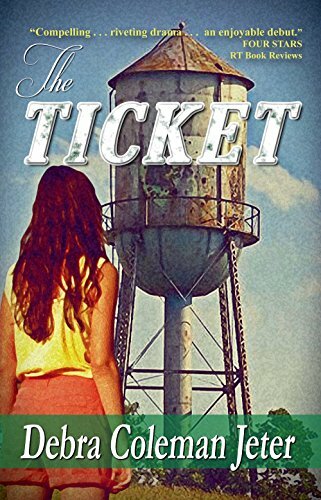 When a small-town Southern family given a ticket wins the 1975 state lottery, the mere anticipation of sudden wealth forces three generations of women—14-year old Tray Dunaway, her mother Evelyn, and grandmother Ginny—to confront issues of greed and generosity, selfishness and compassion, doubt and faith. In the meantime, the cash-strapped buyer of the ticket is driven to threats and possibly to violence. His threats particularly traumatize Evelyn, who suffers from bipolar disease, with repercussions affecting all three women: the beautiful but troubled Evelyn, the creative teenager Tray, and the resilient Ginny. The hope initially sparked by the lottery win gives way to sorrow, but eventually all three women find their way toward deeper understanding and redemption. First, I wanted to write something to show of how little importance wealth really is, though we often spend way too much time thinking about money. Once I decided to write about a family with financial troubles winning the lottery, then I thought it might be interesting if someone else bought the ticket and gave it to them ... which leads to a lot of the twists in my plot. Second, I wanted to pick a time when a fourteen year old was more naïve than today's teens typically are. Also, I wanted a time before cell phones and social media. Finally, I chose a period when the states of Kentucky and Tennessee (the states where I've spent most of my life) did not yet have a lottery, and so the idea of winning a lottery was particularly novel. You had to cross into another state just to buy a ticket. First, it provides an opportunity to round out the character of Pee Wee, the man who buys the ticket. Up to this point in the novel, his behavior makes him seem ominous. This scene shows that he isn't evil or beyond redemption. But, more importantly, The Ticket deals with some tough, realistic issues. The situation referred to in the controversial scene is one that arises all too often, and I think it's important for young women or boys who might face something like this in their lives to know that it's not their fault. They are not alone. They should not feel ashamed. Ideally, I'd like for my book to open a dialogue within families about how to handle such a situation should it arise.